Lots of work underway for the April Salute game. I might even be ready before the event. 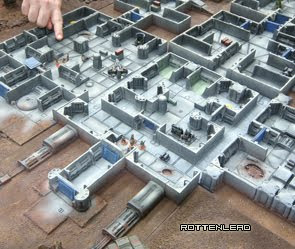 A close up of some of the Games Workshop Craters which were used cut up along the side. 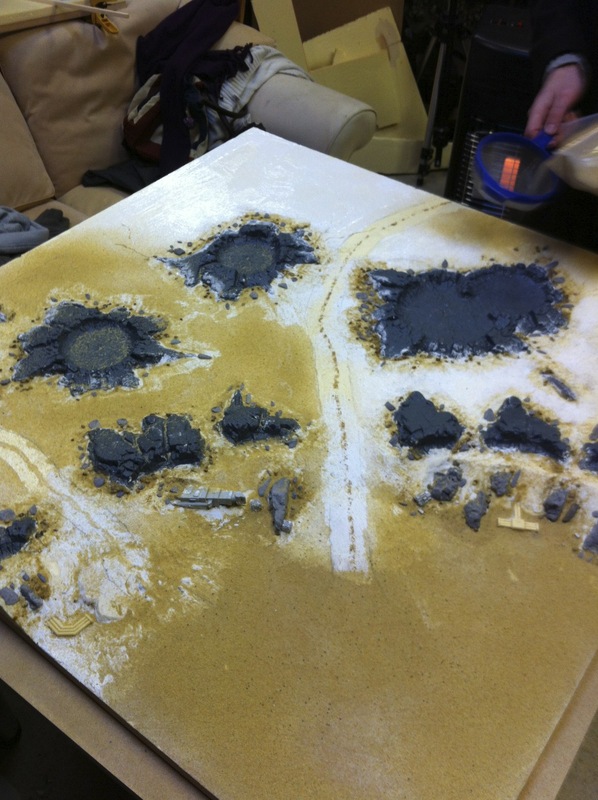 This was one full set of craters from GW used on this single 3ft x 3ft 15mm SCI-FI gaming layout. 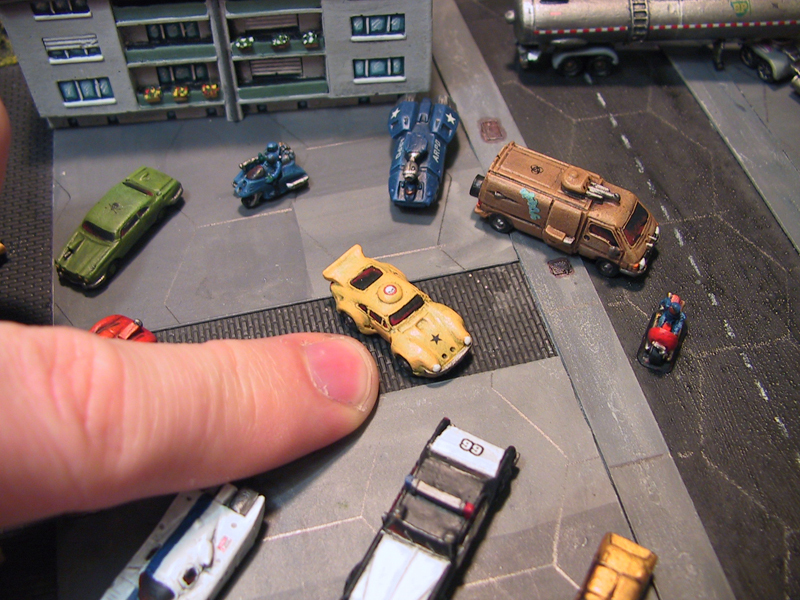 All of the boards being made for the Salute 2012 wargames convention are this smaller size to allow direct action games. 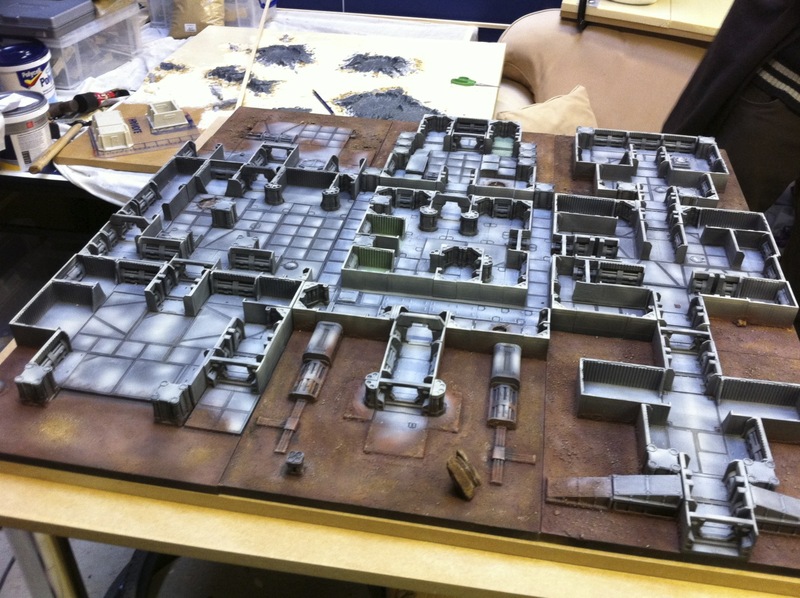 I also made a special gaming table with removable legs, this provides me a handy play table for 15mm on the reduced size layout. The sand is being sprinkled onto neat PVA here by Evan, he is using a flour sieve I have especially for the job of adding fine sand. Afterwards we tipped the excess off onto a sheet (for re-use). After a day of drying I will wash on a thinned down PVA mix to seal it. 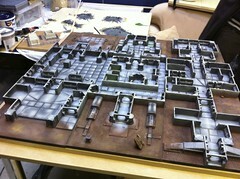 Possibly thinking of re-vamping and adding some additional super-detailing to my older 15mm space station layout. It has been sat with only an "annual" outing in the garage for nearly 8 years now, so about time it felt the patter of 15mm feet along the corridors again. That is amazing. 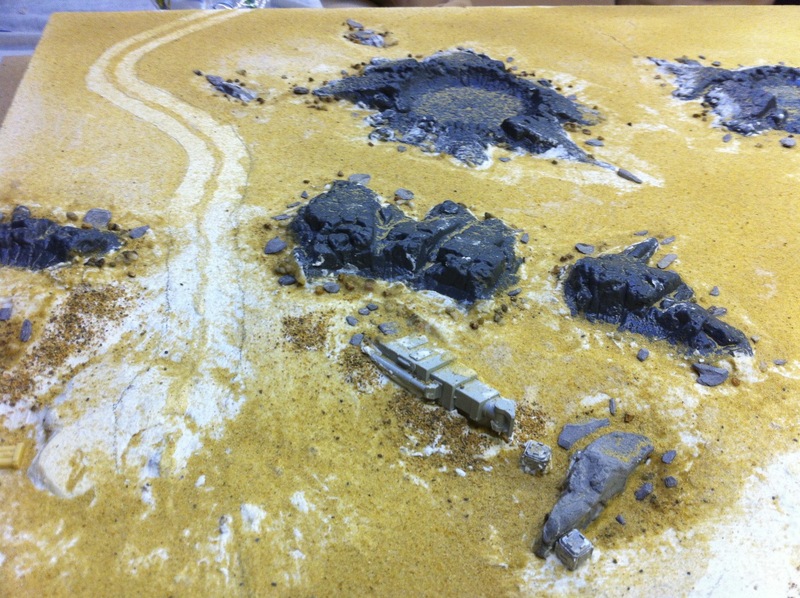 Wanted to do something similar with my GW Craters for Gruntz 15mm. Looking forward to see more! I'd like to see more of that 15mm station in action too. Perhaps a batt-rep? Direct action hurrah! Great looking boards as usual Robin. Thanks for the comments. It has been fun in the garage on Sunday's doing the build up. Makes it all worthwhile to get things organised for the event.